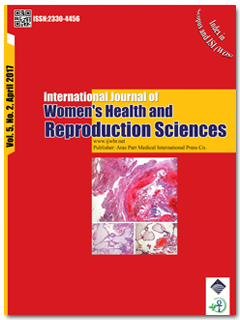 Objectives: The purpose of this study was to assess the educational need of infertile women admitted to Yazd Reproductive Sciences Institute. Materials and Methods: This cross-sectional descriptive-analytical study was conducted in Yazd, Iran. The statistical population included 200 infertile women who were selected through convenience sampling method. The data collection instrument was a researcher-made questionnaire with statistical validity and reliability. Data were collected through interviews and self-reports and then analyzed using SPSS v.16 along with descriptive and analytical statistics. Results: The mean awareness scores of factors related to infertility, sexual satisfaction and nutritional needs were 4.36, 4.03, and 5.02, respectively. There was a significant relationship between awareness of infertility factors and variables such as level of education, spouse’s level of education and place of residence. Moreover, there was a non-significant relationship between awareness of infertility factors and variables such as age, spouse’s age, profession, spouse’s profession, number of referrals to the institute, and insurance type. There was also a significant relationship between awareness of nutritional needs and profession; whereas a non-significant relationship was seen between the specified awareness and variables such as age, spouse’s age, spouse’s profession, level of education, spouse’s level of education, number of referrals to the institute, place of residence and insurance type. Conclusion: Since the studied participants exhibited limited awareness of related factors to infertility, it appears that developing a proper training program to raise awareness of infertility followed by its implementation and evaluation is necessary.